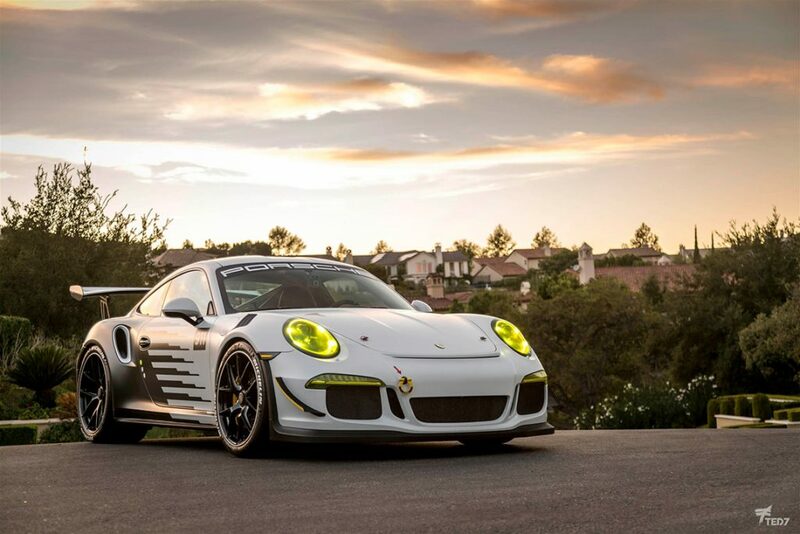 Most Porsche owners will happily accept they are also Ferrari fans. 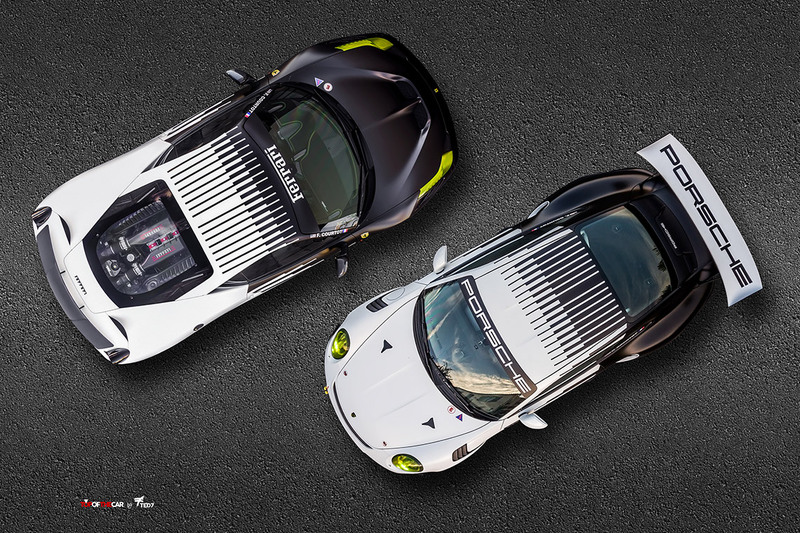 Select Porsche owners that own a top shelf 911 will also have their eyes on a Ferrari… if they don’t already own one. It’s not that surprising to see someone own and enjoy both vehicles. This is exactly the case here. 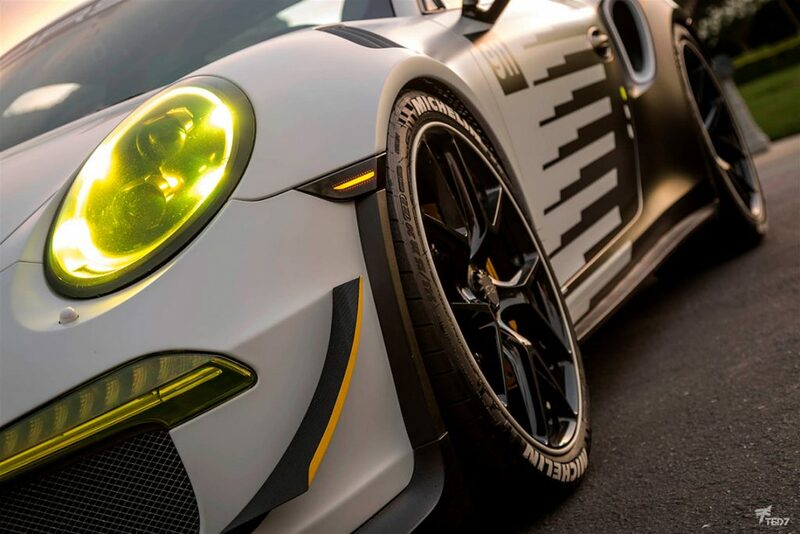 The cars are a Porsche 991 GT3 RS and a Ferrari 458 Speciale. These two cars are owned by the same person; a true driving enthusiast. 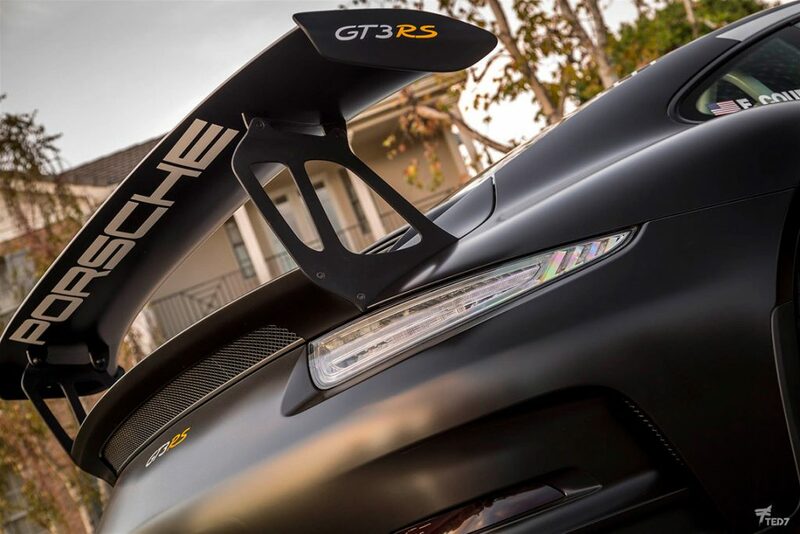 Given the owner is a driver and not just a collector, the cars see regular street and track use. They eat up the miles on the street during local and national road rally events. Some of which include Gold Rush Rally, Fuel Run, Targa Trophy and 70-Mile Saturday. If the design looks familiar it’s because you’ve definitely seen something like it before. 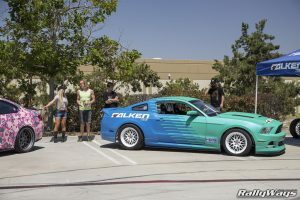 The wrap on both cars is based on an adaption of the Falken Formula Drift livery. 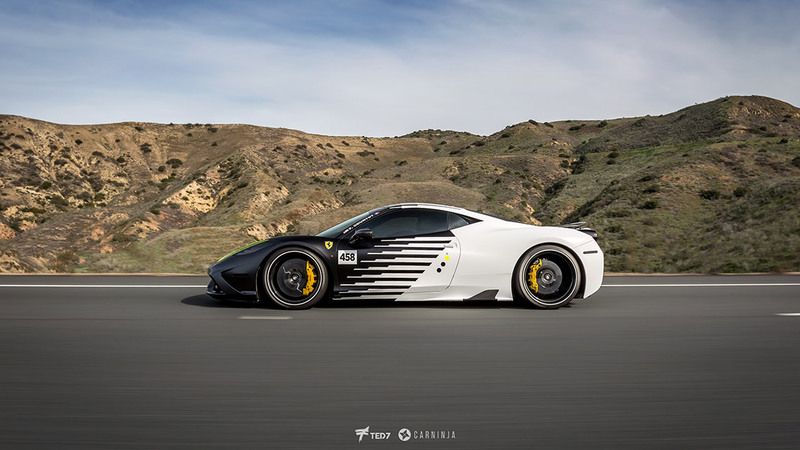 To make it his own, the owner opted to do the design in black and white with only a hint of yellow. The yellow in the Porsche ceramic brake calipers and Ferrari calipers is tied to the yellow motorsport headlights, the canards and a little dot on the side of the cars. By inverting the colors from one car to the other, a Yin Yang design is created — Specially when the cars are put side by side like in the cover photo. This is not the first time one of these cars is wrapped though. 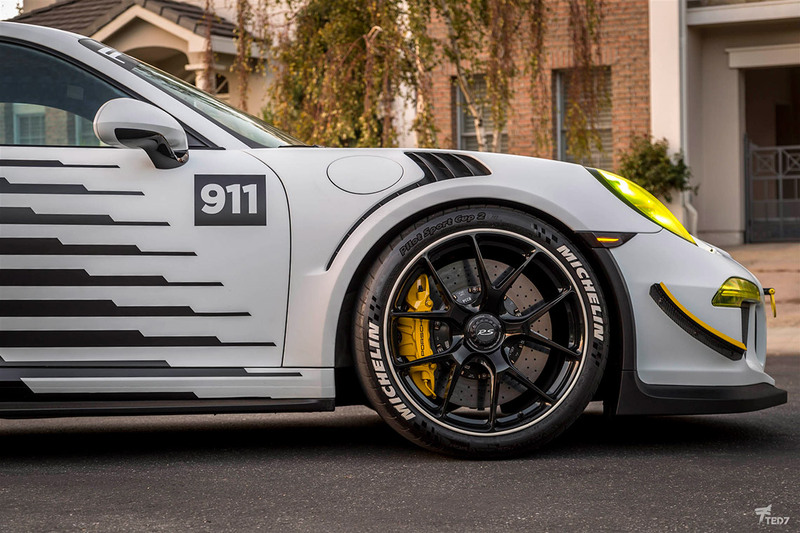 The Porsche already had a design done months back. It was a trend setter. However, being a trend setter means you will be copied quite a bit. After a while the owner felt the design had been used too much and he decided then to come up with this creation. That’s the best part of wrapping your car or your entire fleet of vehicles. Painting is permanent and will result in depreciation if you are painting over a factory finish. Not only that, but if you really, really want to paint, once you do, you will probably never change the color again. 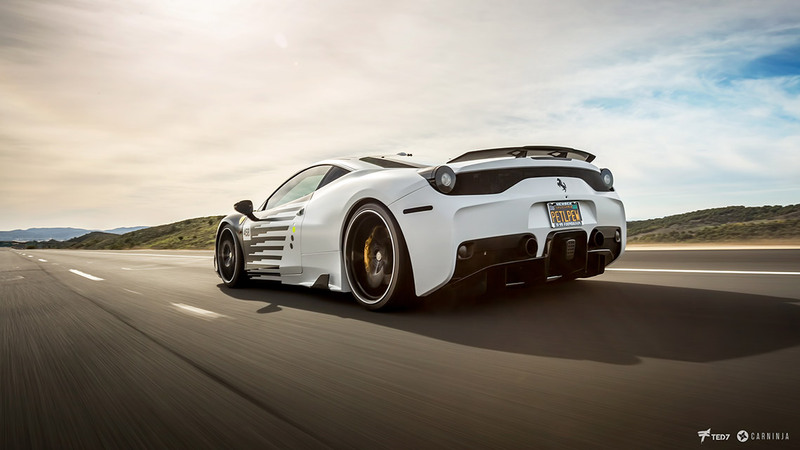 With a car wrap, you can feel free to change it up as many times as you want. The factory paint will be safely guarded underneath. Essentially, you can have a new car to enjoy whenever you feel you need a new design. Want to change your car up? Want to create a theme using more than one vehicle. Let us know. We have locations in Orange County CA, San Diego CA and Scottsdale AZ. If you feel you are too far to bring your cars in, we can create and print a design for you to have it installed at your local installation facility. Nowhere in the world is too far for a Protective Film Solutions car wrap design. Photos by Ted 7 Photography.